Poverty & violence gave birth to a son. Like his parents he remains amongst the forgotten ones. Opportunity continues knocking at the door, constantly reminding him that he’s not poor. Intangible wealth beyond measure, all due to the storms he’s had to weather. He only fears mediocrity, so he strives for excellence in utter disgust of hypocrisy. What if you did all that was expected of you at the expense of your dreams? They set the bar low and give you two options…either you fail or follow the flow. 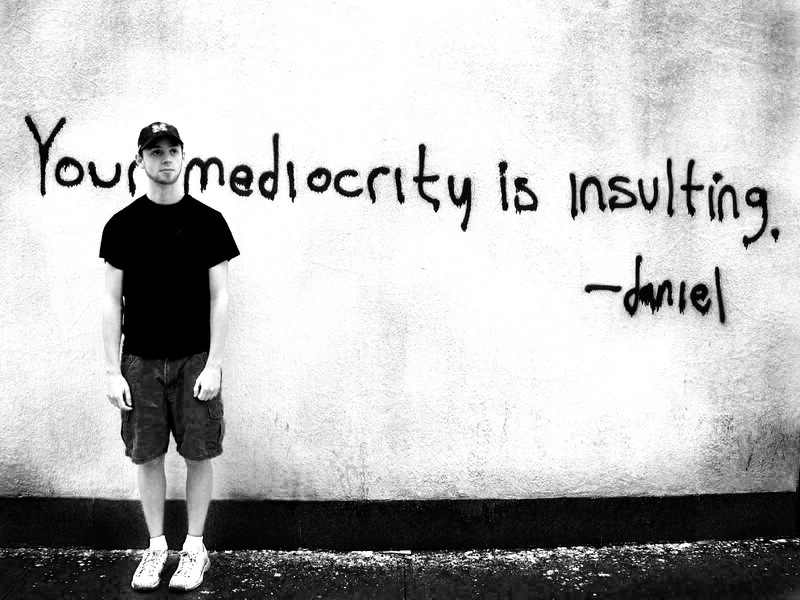 Next time you choose to be mediocre, you’ll be accompanied by loses. Personally I’d rather walk away with a few wins. Here’s a pen, I’d like you to add mediocrity to the list of the 7 deadly sins. You can be successful or you can be sorry the choice is yours to decide. Whichever one you pick be sure to buckle up, it’s destined to be a bumpy ride. This entry was posted in Uncategorized and tagged author, faith, fear, happiness, life, love, mediocrity, poem, Poet, poetic, poetry, pursuit, real, writer. Bookmark the permalink. There is so much truth in this post! Very inspiring. For sure brother, thanks…I’m glad you could relate! Thank you sir, I appreciate that!! very raw. packed with emotion and meaning! Awesome…thanks Caroline, I’m glad you enjoyed it! !